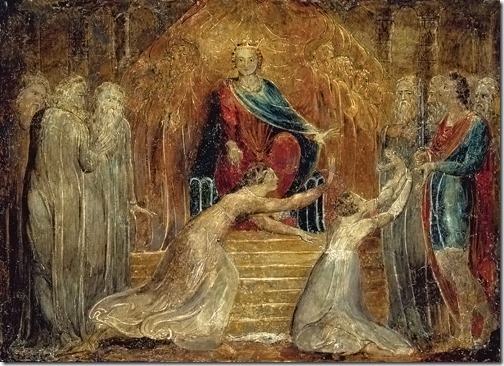 The Judgment of Solomon, ca. 1799-1800, William Blake (British Romantic Writer and Painter and Illustrator, 1757-1827), 26.6 x 38.1 cm, The Fitzwilliam Museum, Cambridge, UK. Large size here.